Brexit, unsurprisingly, raised more questions than it answered. While it was made clear the UK would indeed leave the EU, the specific details of exactly what that means will take years to finalise. For businesses of all shapes and sizes, this means a long wait before they are able to plan with confidence. For start-ups in the UK, this environment is particularly difficult. Any plans to expand to the continent must be put on hold until negotiations are complete. Many entrepreneurs may also be worried about their funding, especially if it comes from an international source. For venture capital, Brexit presents a range of very different challenges and opportunities. While in the short term there may be some difficulties, there may also be promising developments in the longer term. European CEO spoke to Freddie Achom, CEO of Rosemont Group Capital Partners, an early-stage venture capital investment firm, to find out what opportunities and challenges exist for both venture capital and start-ups in the future. How is Brexit affecting the venture capital sector? At the moment, we haven’t seen a change in day-to-day operations as Rosemont Group’s portfolio is predominantly UK-based. More broadly, however, an obvious key change is that there will be fewer merger and acquisition transactions until we know more about the outcome of Brexit. There will also be less pan-European investment coming from the UK into Europe and vice versa. I am hoping there will not be too many heavy changes during the transition to Brexit. Ideally, I would like to see policies surrounding trade and taxation agreements remain the same. As much uniformity as possible is needed. How have key figures in venture capital responded to the Brexit vote? Thought leaders are trying to look at the positives, much like myself. 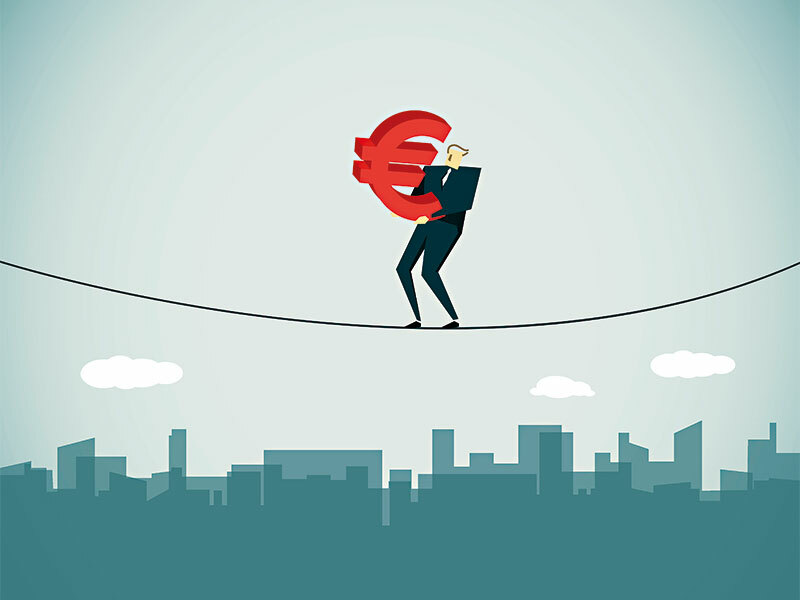 The amount of general uncertainty in the UK, both now and in the near future during the Brexit process, is likely to make investors across the board a bit more cautious when opting to deploy investment capital. However, data from London & Partners, the Mayor of London’s promotional company, found that in 2016 the UK tech sector drew more investment than that of any other European country. Measuring activity across private equity and venture capital deals, more than £6.7bn [€7.6bn] was invested into UK tech firms over this period, with the good news extending to London. The capital city retained its status as the tech capital of Europe, accounting for more than a third of the total invested in UK tech firms, and attracted more money than any other European city. How do you see the UK’s venture capital position changing relative to other countries? Brexit will likely see more enterprise investment schemes being introduced. More opportunities will become available, locally speaking. It will be a chain reaction: if venture capital gains more traction in Europe, what we are going to find is that most UK originated start-ups will root themselves on the continent rather than in the UK. Right now, a lot of companies that are based in the UK that truly believe they have a disruptive product and require substantial capital to launch will move their base to the US. This is because capital is easier to come by over there and the Americans better understand the tech sector so, consequently, have a lot more faith. We have seen an increase in momentum over the past few years now. The danger we face now is that the same will happen with Europe, as firms come to see the continent as a more attractive destination. Venture capital firms won’t want to invest across the water into what is effectively an island. The uncertainty of Brexit and new regulatory agreements will create ambiguity. At the moment, we see Lisbon cropping up as the new tech hub of Europe. Venture capital firms are also showing signs of going further afield to locations such as Israel, and there is a chance that the UK could start to see a diminution of activity in that respect. What other trends are affecting the venture capital sector? The trends and factors currently affecting venture capital largely relate to the growing popularity of crowdfunding. Many investors look at the instantaneous benefits of crowdfunding and see the exciting opportunities it offers. However, in the long run, they are left with a lower amount than expected and originally predicted. Having said this, start-ups and existing companies alike have found it conducive to go to crowdfunding platforms at times. The main reason for this is that crowdfunding is evolving to offer more niche opportunities. Crowdfunding can offer individuals a platform to share their specific area of expertise and capitalise on it; we see a lot of gaming, tech and artisan food industries booming. Investors can finally put their money into macro sectors. We are a consumer society, and this is the time for more small, unique companies to flourish. In 2016, equity raised from crowdfunding surpassed that of venture capital for the first time. Increasingly, the power of the masses is proving to be a worthy adversary for the venture capital community. Do you think the climate for entrepreneurs searching for capital will improve or worsen? I don’t see the situation worsening. I am hopeful. With regards to Brexit, in the short term there will be a relatively high level of apprehension until we know more about the economic climate and how it will pan out. The World Bank reports that an estimated $93bn will be invested by 2050, with entrepreneurs and investors alike profiting. Essentially, looking further into the future, we expect to see a positive and promising outcome.